We normally meet on the first Wednesday of each month, at 7:45. The start time for lectures is at 7:30. There are exceptions, so be sure to check the schedule for the current meeting information. For almost forty years, Ring 244 has been a close-knit group that shares a love of magic, and a desire to advance the art of magic among themselves and their compatriots. We also aspire to use our magical talents to aid our community. 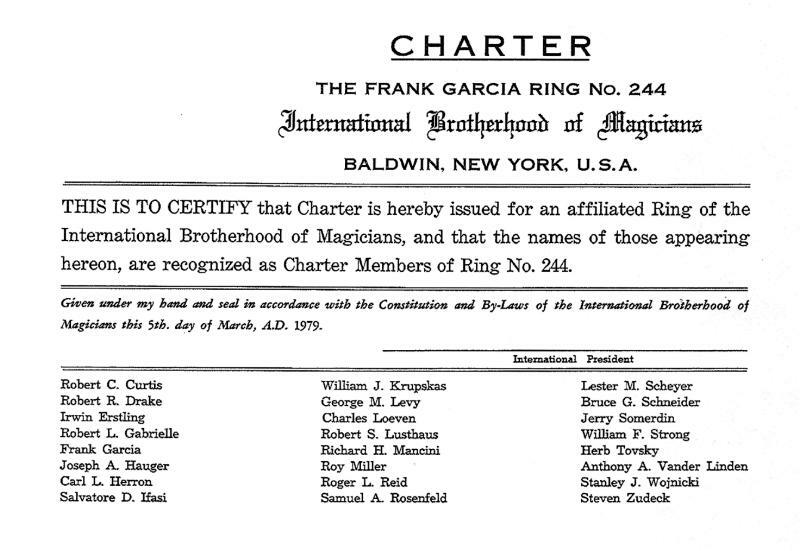 In recognition of our goals and efforts, Ring 244 is one of the few rings that has twice been honored as a "Superior Quality Ring" and was named an Honor Ring in 2014 by the International Brotherhood of Magicians. We are one of the few rings in the country to have attained these honors. Our members had a Hocus-Pocus Parade in the October 2012 issue of The Linking Ring, and a contribution to The Card Corner in the October 2014 issue. If you are an I.B.M. member, you can read them! 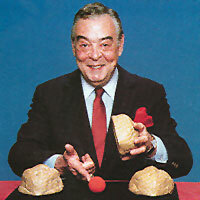 Anyone with a similar love of magic is invited to learn about the I.B.M. Once an I.B.M. member, you are welcome to come to two of our meetings, and request membership information from our Membership Chairman. For youngsters between the ages of seven and seventeen, we offer a Junior Ring that meets at 6:00PM. For more information, contact TBD . We usually meet on the first Wednesday of every month, at the Good Shepherd Lutheran Church, 99 Central Park Road Plainview, NY 11803 at 7:45, but please check this website before coming, as there are occasions when time or meeting place could change.